Getting married is an important and exciting life event, and we are delighted that you are considering having your wedding at St John's. 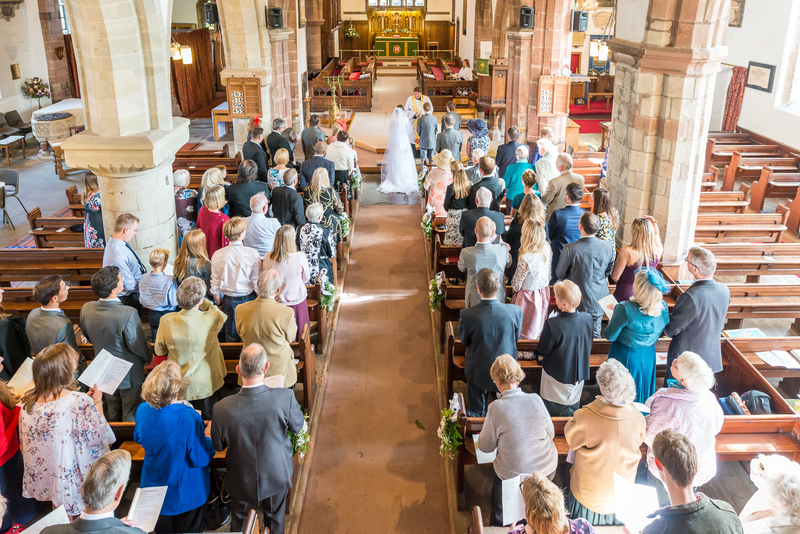 Many people get married in church, whether or not they are regular worshippers. Unlike civil ceremonies, where prayers are not permitted, a church wedding is a way of recognising your commitment before God and praying for his blessing on your relationship. In St John's, you are doing so in a beautiful setting where people have been making that same commitment before God for some seven centuries. Can I be married in St John's Church? Current law allows you to be married in St John's if you meet any one of the following criteria. Either bride or groom has at any point in their life lived for six months or more in St John's parish. Either bride or groom has been baptised (Christened) at St John's. Either bride or groom has been prepared for confirmation and confirmed at St John's. The parent or parents of either bride or groom has lived in St John's parish for at least six months any time after the bride or groom was born. A parent or grandparent of either bride or groom was married at St John's. Please note that we are required to have proof of your eligibility to be married in St John's Church. This is not normally a problem, and can easily be dealt with at the marriage preparation session (see below). If either of your has been married before, then you will need to have a chat with one of the clergy. In most circumstances, a previous marriage is no obstacle to your wedding, so please do not be unduly worried about this. How much does it cost to get married at St John's? The exact cost depends on what sort of wedding you want. In 2019, the basic statutory cost of a wedding is £485, while the maximum (including all possible optional extras) is £1020. A full table of fees can be found here. How do I book a wedding at St John's? There is a dedicated session at the parish office, from 6.30pm to 7.30pm on the first Thursday of every month, for booking baptisms and weddings (this is by appointment only). There will be someone available to deal with all the preliminary paperwork and answer any questions. However, if you are unable to come at this time, please do e-mail or call the office to arrange a mutually convenient time to do this. You will be invited to attend a wedding preparation session. There are normally three of these in the course of the year (typically January, February and October), taking place on Saturday mornings. These will allow you to meet the clergy and deal with most of the practicalities of the marriage service itself.